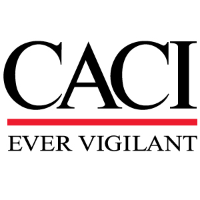 CACI is seeking for a Systems Engineer who will research, design, development, integration, and deployment of SIGINT and ELINT systems for the Army Intelligence TROJAN QRC and TROJAN baseline systems at Aberdeen proving Ground, MD. Support an Army Intelligence Systems Material Developer. Research, design, development, integration, and deployment of SIGINT and ELINT for the Army Intelligence TROJAN QRC and TROJAN baseline systems (SIGINT and ELINT). Assist the TROJAN program with the continued development and implementation FUSE and other GeoLocation services. Participate in real world QRC support to Army Intelligence Units. Participate in classified and unclassified field experiments and exercises with various sister services, partner nations, and other government agencies. Lead a team of up to 6 technical and intelligence subject matter experts. Develop, implement, and improve on industry best practice engineering processes and procedures for the TROJAN program. TS/SCI must be current and CI Poly must be obtainable. Master’s Degree in Electrical or Systems Engineering with 8 years relevant experience designing and developing SIGINT systems (OR) Bachelor’s degree Electrical or Systems Engineering with 10 years relevant experience designing and developing SIGINT systems and requirements Generation, Allocation, and Derivation. Experience with designing full product life cycle support. Project Management experience with leading complex projects and teams. Experience with developing and presenting preliminary and critical design reviews. Experience with developing engineering cost estimates. Experience with GeoLocation principles and services. Experience with implementing Cross Domain Solutions. Experience with TROJAN, Prophet, DCGS, CESAS, TSCS. Experience with Earned Value Management. Experience with establishing engineering processes and work flows. DoD 8570 certification (Security+, Network+).